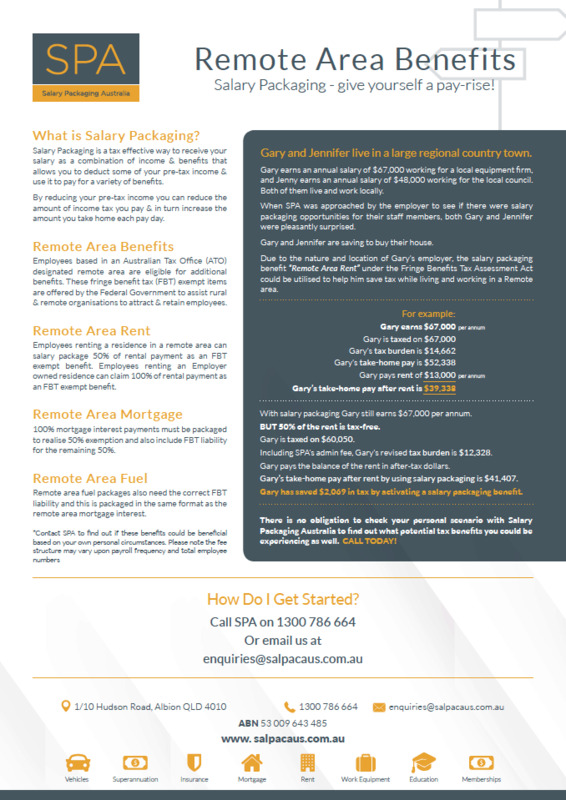 Salary Packaging is more than just a novated lease. For educational employers, there are many benefits that you can offer to your employees which will allow them to pay less tax, and have more take home pay each pay cycle. Salary Packaging is a tax effective way to receive your salary as a combination of income & benefits that allows you to deduct some of your pre-tax income & use it to pay for a variety of benefits. By reducing your pre-tax income you can reduce the amount of income tax you pay & in turn increase the amount you take home each pay day. 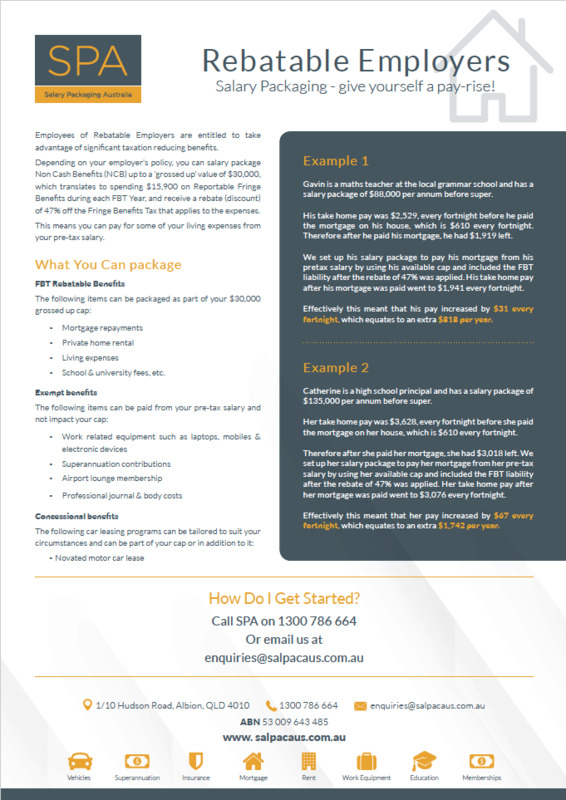 Choose from the multiple benefits provided by Salary Packaging Australia to help your employees save thousands in tax. Additionally, this will add no cost to you, as the employer. 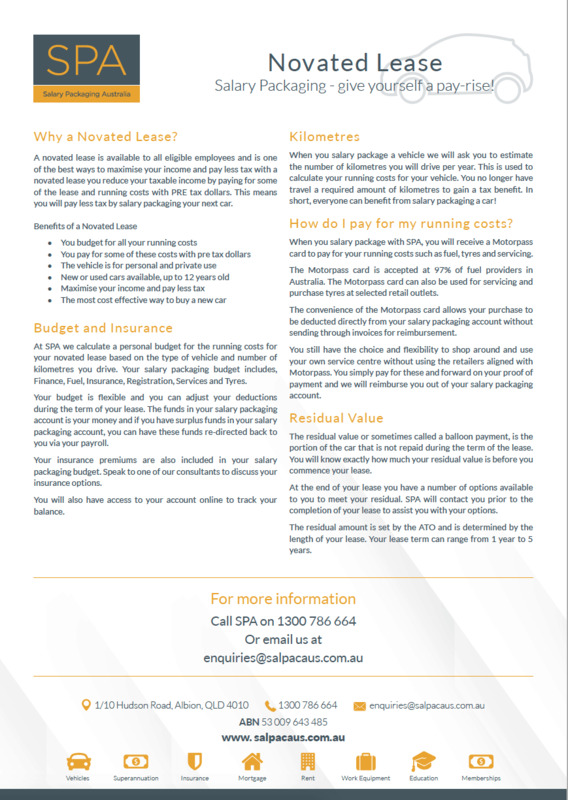 Offer employees a cost-effective way to get into your next vehicle through Novated Leasing. The everyday running expenses that employees would normally incur are incurred in Pre Tax and a GST free arrangement. This means that employees will now be able to pay for various items out of income that has not been taxed! Employers can deduct vehicle financing & runnings costs from an employee’s pre-tax income. Employees can salary package Non-Cash Benefits (NCB) up to a ‘grossed up’ value of $30,000, which translates to spending $15,900 on Reportable Fringe Benefits during each FBT Year, and receive a rebate (discount) of 47% off the Fringe Benefits Tax that applies to the expenses. Employees can pay some of your living expenses from their pre-tax salary. Employees based in an Australian Tax Office (ATO) designated remote area are eligible for additional benefits. These fringe benefit tax (FBT) exempt items are offered by the Federal Government to assist rural & remote organisations to attract & retain employees. Employees working in a remote area and paying thousands on rent or mortgage interest? 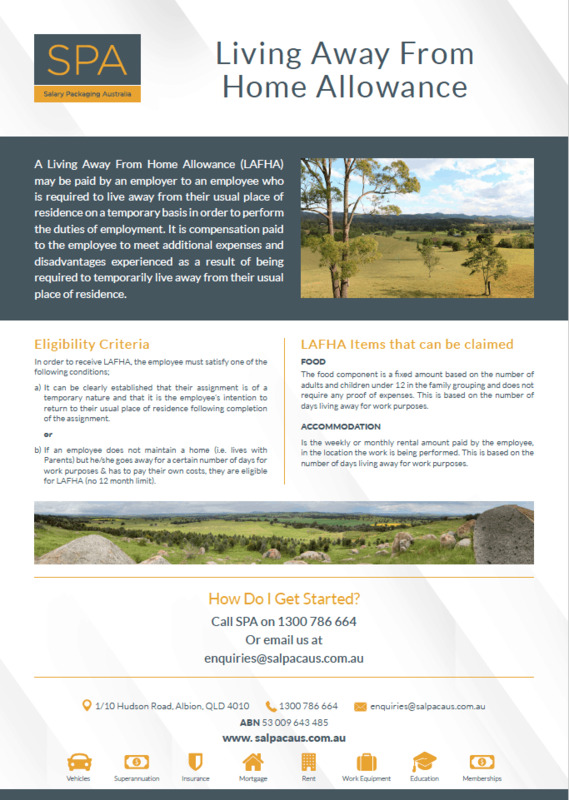 A Living Away From Home Allowance (LAFHA) may be paid by an employer to an employee who is required to live away from their usual place of residence on a temporary basis in order to perform the duties of employment. Do your employees live away from home for work? See what they can claim. 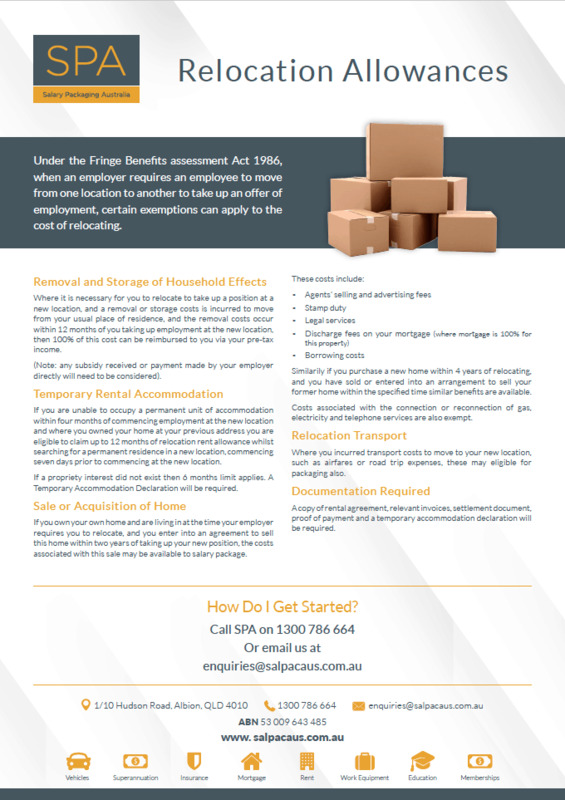 Where it is necessary for an employee to relocate to take up a position at a new location, and removal or storage costs are incurred to move from their usual place of residence within 12 months of taking up employment at the new location, then 100% of this cost can be reimbursed to your employees via their pre-tax income. Employees relocating for work? See what they can claim. Unsure if your company is eligible to offer these benefits? Contact Salary Packaging Australia to find out more about benefits for the education sector and to find out if your company is eligible to offer your employees any of these great benefits.